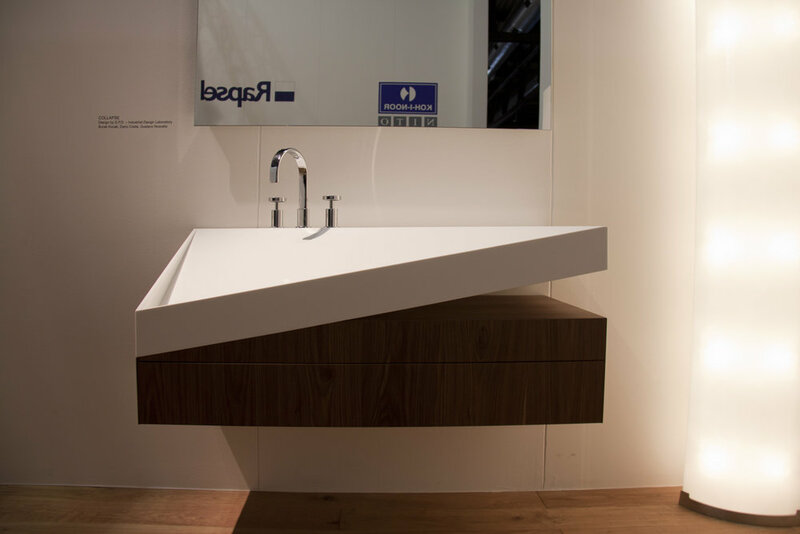 The Collapse designed in 2013 at Scuola Politecnica di Design collaboration with Italian bathroom company Rapsel. The final result has been displayed at the Salone del Mobile has a neat but not minimalistic presence. Basic volumes are juxtaposed to suggest a movement, a shift to an unexpected position, and create a strong architectural statement. This approach succeeds in a twofold objective: it breaks the rigidity of the composition and underlines functional details that thus integrate in the broken geometry of each design. 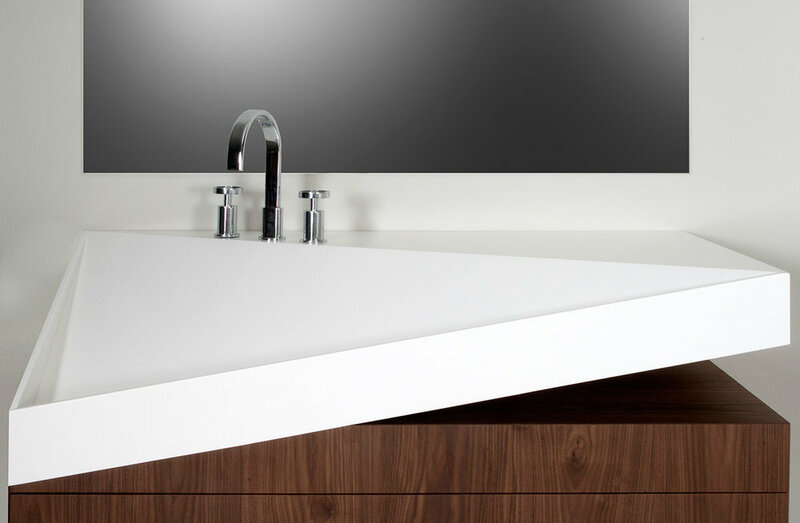 The sense of movement is emphasized by water flowing on the almost vertical surface of the washbasin that gives to the collection its peculiar character. On display inside the company’s stand at the Salone there is the complete family of products. The Collapse collection comprises two important pieces sizewise - washbasin and bathtub - with sanitary ware, furniture and accessories such as a mirror and wall mounted cabinet and containers. 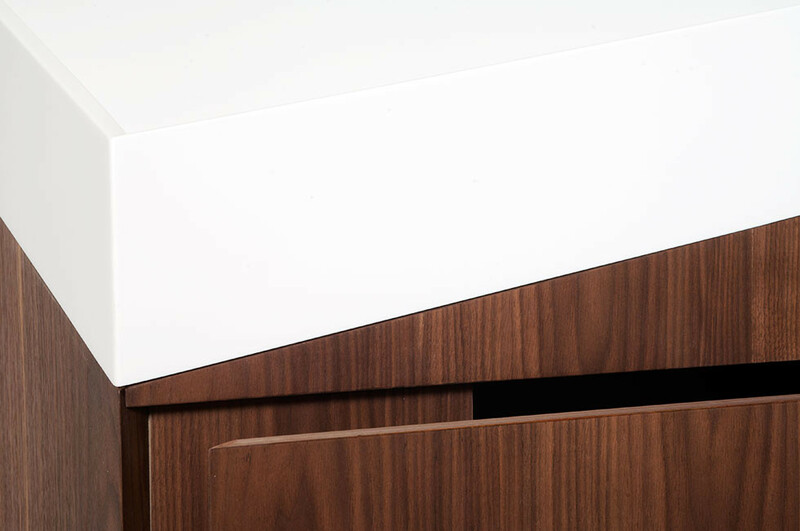 The version selected for the debut combines the purity of Corian with the warm opulence of Canaletto walnut veneer, at ease both in the international contract markets and in residential interiors.